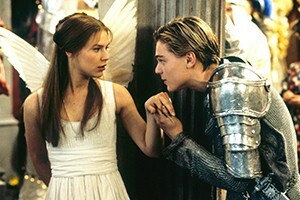 Shakespeare scholar James Shapiro will compare select scenes from Baz Lurhmann’s 1996 ROMEO + JULIET to Franco Zefferelli’s version from 1968. The instructor will cover filmmaking and directing techniques, including camera placement and movement, blocking, lighting, acting and editing. Learn from a master and then join the live production of the classic play that evening at Guild Hall. Born and raised in Brooklyn, New York, James Shapiro studied at Columbia University and the University of Chicago. He is currently Larry Miller Professor of English and Comparative Literature at Columbia University, where he has taught since 1985. In 2011 James Shapiro was inducted into the American Academy of Arts and Sciences. He is the author of multiple books on Shakespeare, including Rival Playwrights: Marlowe, Jonson, Shakespeare (1991); Shakespeare and the Jews (1996); 1599: A Year in the Life of William Shakespeare (2005), Samuel Johnson Prize for the best non-fiction book published in Britain; Contested Will (2010), Theater Library Association’s George Freedley Memorial Award; and The Year of Lear: Shakespeare in 1606 (2015), James Tait Black Prize and the Sheridan Morley Prize. His 3-hour documentary on late Shakespeare—The King and the Playwright—aired on BBC4 in 2012, and his The Mysterious Mr. Webster was on BBC2 in 2014. He serves on the Board of Directors of the Royal Shakespeare Company, and he is currently the Shakespeare Scholar in Residence at the Public Theater in New York City. Shapiro also serves on the Board of Directors of the Authors Guild. In 2017, he was granted a Public Scholar Award by the NEH to write a book on Shakespeare in America.